One of the most discussed subjects amongst us indie authors is the process of editing. My editor is Deborah Wall and she is the subject of today’s blog on editing. Hello Deborah, please tell us a little about your background. I have been helping people communicate more effectively for over ten years now. From 2002-2010 I taught English as a foreign language while I was living in Bratislava, Slovakia. This experience gave me a huge apprectiation for how the English language is put together and how we use it to communicate. This includes all areas of the language; grammar, punctuation, tenses, syntax, vocab, idioms and fixed expressions… everything we need to say what we want to say. I left Slovakia in 2010 to do an MA in English Language in the U.K., consolidating my education and skills in linguistic analysis. I have continued to have occasional students since then, but have found I am now drawn to editing, which, I feel, is a continuation of helping people communicate more effectively, by helping writers to write what they want to write. Do you prefer editing to teaching, and if so why? Editing is definitely what I want to do now. I love being involved in the creative process and seeing books and stories evolve. I miss my students – in a similar way I loved being involved in the learning process and seeing my students grow and develop in their language skills. But it was time for me to move into a more creative direction and I am indebted to Christoph for the opportunities to edit ‘Weissensteiners’ and ‘Sebastian’. Describe the process for your editing. Multiple reads! The first read is for me to get my head round the story, so I am familiar with the complete story. This is when I may spot plot or character inconsistencies, and may also comment on the direction of the narrative. Then when I read again I am more focussed on the small details: grammar, punctuation, vocab and the technical bits of the language. Those sometimes tiny details (eg. the position of a comma) can determine how easy a story is to read. I agree with the statement that punctuation saves lives. For example, in the sentence ‘Let’s eat Grandma!’ vs ‘Let’s eat, Grandma!’ Grandma really cares about where the comma is. At this stage I am editing sentence by sentence to really focus on the details. It may take two, three or more reads, depending on how much rewriting the writer wants to do, to feel that the editing is finished. Then a final read is essential to read the story from start to finish, with all corrections and rewrites in context, so I can get a feel for the flow of the story as well as catch any remaining typos that have slipped through. 1. Coffee to wake my brain up when I start work in the morning. 2. My ‘Penguin Guide to Punctuation’ for when I am not sure about those precious commas. 3. A good dictionary. 4. When I am really stuck and can’t find the answer in the guide book or dictionary (or online) I have to call the editing sage, who has 30+ years experience as a professional editor. Since she is my mother I don’t like to call her too often as I like to think I don’t need her help. Which aspects about editing are the best and which are the worst? The best is, as mentioned, being involved in the creative process that writing is and seeing books/stories evolve. I become so involved in the stories ‘letting go’ when they are finished is traumatic! The worst is too much screen time and sitting in one place for too long is NOT GOOD for my waistline or social life. How difficult is it to be critical to us authors? Are we whiners or can we take criticism well? At the beginning it was very difficult. I didn’t want to criticise anything because I am so full of respect and admiration for your writing. So I always remind my writers that I am only making suggestions for corrections – it is the writers’ choice whether they implement my suggestions. And I think, the more I do, the more confident I am in making these suggestions. After all, it’s all about communicating more effectively and I only want to help… not rewrite. So far the writers I have worked with have been brilliant. And, to be honest, it’s up to them whether they incorporate my suggestions, or not. Name one of your pet hates during editing? There is only one. Too much screen time and not enough face time. How much would you like to interfere with the words, sentence structure and writing and how much do you have to restrain yourself? If it needs saying/suggesting, I do so. It is up to the writer to decide how much they want to listen to me. Your most recent work was with Paulette Mahurin’s new book. What was the experience like? Wonderful. 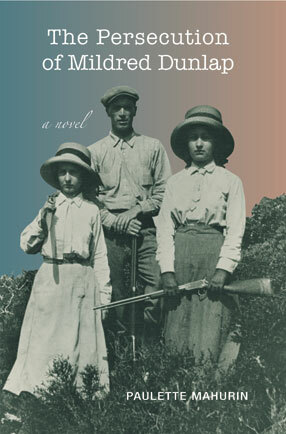 It is a charming and optimistic story about a difficult subject and she writes beautifully. From start to finish I have felt it is a privilige to be involved in the project and working with such a successful and professional writer. How much do you read in your spare time? Do you have a preferred genre for your books? This is almost impossible to answer. Over the years there have been so many favourites. For example,’Wuthering Heights’ by Emily Bronte was my all time favourite when I was 15 (and each time I reread it). Another is Milan Kundera, and I really loved ‘The Unbearable Likeness of Being’ in my 20s. But that was a few years ago. Others include Tolstoy, Solzhenitsyn, Shakespeare, Khallid Hosseini, and my current favourite has to be Bukowski. Among others! Ask me again next year and the list will be completely different. What would you take on a lonely island? A kindle. And a friend to discuss books with. Have you currently any new projects? I am still working on the penultimate read of Paulette’s latest, and I hear Christoph’s third book might be ready for me later this summer. It is with great reluctance that I am writing this, but not for any reason that you are probably envisioning. Once you read what I have to say you’re going to want to work with this very gifted and wonderful editor and I will have to wait in the long line to get my next project to her, lol. All joking aside, I absolutely loved working with Deborah Wall. I sought her out indirectly through a book I read last year, The Luck of The Weissensteiners. It was one of the best-edited indie books I read and I wanted to know who the author’s, Christoph Fischer, editor was and if possible could I work with her. It was a lucky day when he connected me with Deborah. When my manuscript was ready for editing, I sent her the draft and we began our work, a few chapters at a time with editing on the side lines which extremely easy to follow. Deborah picked up a lot of typos and suggested changes and additions to the story that enhanced it immensely. Our process together was so creatively fulfilling that I felt sad when the job was finished, that’s how much I enjoyed working with her. I look forward to working with her again. Highly recommend her as an editor. Deborah and I had been friends in the 1990s but lost touch when she moved to Bratislava. We reconnected over Facebook – who doesn’t these days – and when she heard that I had a manuscript that was set in Bratislava she asked me to let her read it. Through her appreciation as well as her ideas and suggestions it was that I first had the courage to contemplate publishing the book. Only when she offered to edit the book did I seriously entertain the idea. I had written a few other books which Deborah read for me. With her invaluable and professional feedback on all storylines and writing I learned a lot and through the process Deborah and I learned to be ever more honest and direct with each other. I understand that as the author it is my responsibility to come up with the goods and the editor is only there for the polishing, yet Deborah had a lot of fantastic ideas and suggestions, observations and well deserved criticism that took a while to come out but were invaluable for the success of my books. I can add only little to the well-deserved praise for Deborah that has not been said already and have to make Paulette’s fear of losing her to a wider audience much more probable. My background is in scientific academia which requires a different approach to checking manuscripts and documents, but I was asked by Christoph Fischer to read through his second book after Deborah had finished her copy editing. I liaised with Deborah as to the best approach for us and found the experience easy, enjoyable and educational. Her approach was thoroughly professional but she encouragingly taught this didactic dinosaur a much more relaxed style to grammar and punctuation that benefited Christoph’s book tremendously. After receiving the manuscript from her I had very few comments to make – yes, she is that good, although such is the nature of copy editing that I am sure that between us we missed some. We had stimulating discussions about the last minor issues, If I was unsure of something: the eternal semi colon/colon debate (I love colons), the battle of comma placement for sub clauses or should god have a capital letter, a quick email conversation with her and I was enlightened. It was a great experience and above all, a fun one. 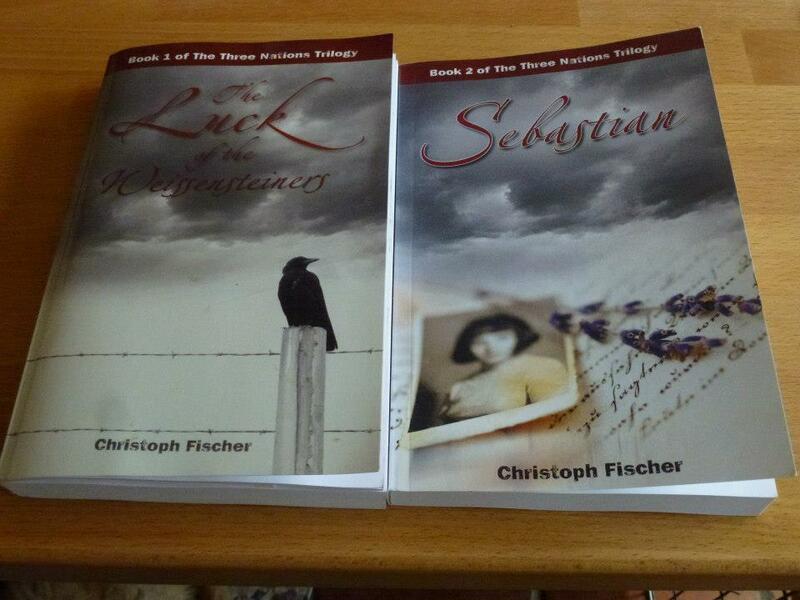 My terrific editor Deborah Wall featured at the wonderful author Christoph Fischer’s site.